What would Enzo Ferrari think of his company's cars today? Enzo Ferrari, the founder of the car company bearing his family name, was born in Modena, Italy on February 18, 1898. Ferrari died in August 1988 but if he was alive today, he would be celebrating his 121st birthday. To mark this important date, Ferrari opened two exhibits at its museum detailing the story of Enzo's life and displaying some of his personal cars. Ferrari has created a different sort of tribute this year, with an inspiring video filled with the most memorable quotes from Enzo. 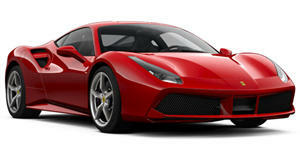 The video says, "We have often wondered what Enzo Ferrari would think of his cars today. To celebrate our founder's 121st birthday, we have matched some of his most memorable quotes with images of today." The F40 in 1987 was the last car personally approved by Enzo Ferrari but the company firmly believes he would approve of the brand's current lineup (until the SUV arrives, that is). In one of our favorite quotes from the video, Enzo says, "A racing car is like a child to me. If you think about it, a child is like an extension of yourself - the same thing happens for a constructor when he turns forged materials into living engineering, into a harmony of sound." Another quote was written to Enzo Ferrari by famous musical conductor Herbert von Karajan saying, "When I listen to your 12 cylinders, they unleash a harmony that no maestro could ever play." 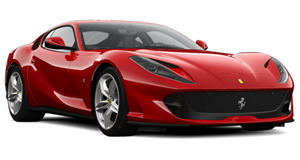 While this quote is displayed, viewers are treated to the wail of a Ferrari 812 Superfast's 6.5-liter 788 horsepower V12. Anyone who is a fan of Ferrari should watch the video because there are some amazing quotes featured in it. Enzo Ferrari was a legendary figure in the automotive industry and his story will soon be told in an upcoming movie with Hugh Jackman set to play Enzo.